Wearing adequate safety protection is a given for motorcyclists. Purchasing a helmet and protective clothing will provide security on the road and provide you with confidence to enjoy your ride. However, motorcyclists often forget that protecting the ears is a crucial safety precaution. It is important that you are aware of the risks associated with hearing damage from road noise so that you do not risk developing long term hearing problems over time. Sustained levels of noise can be just as damaging as sudden loud bursts of sound, which is why motorcycling has the potential to reduce your ability to hear over time. The biggest cause of hearing damage from motorcycling is not from the engine, but the wind. ‘Helmet noise’ is generated from the constant rush of wind up your helmet and against your ear drum, which can be dangerous at high speeds. Average wind speed from helmets is around 93dB at speeds of 60mph, which can be damaging if you ride at this speed frequently and over long distances. On motorways, with higher average speeds, helmet noise can rise to 110dB, the same as listening to an MP3 player at maximum volume for the duration of your ride, and deemed safe for less than 15 minutes. Over time, this can lead to degeneration in your hearing if precautions are not taken. This is particularly evident for regular motorcyclists that ride long distances. Needing to hear traffic noise is not an excuse for failing to wear protection as the wind will dominate your auditory senses above speeds of 30mph. Engine noise can also create hearing problems, particularly for owners of more powerful bikes. “Almost all of the motorcycles we tested reached action-level noise, which in the workplace would require ear protection,” says Joy Colle, an audiologist and researcher. Ear plugs are the best form of protection for your hearing, effectively reducing wind and engine noise to safe levels. Wearing a helmet will reduce wind noise by up to 10 times too, although this is a legal requirement. “With so many safety precautions required for motorcyclists, they often ignore the requirement of wearing earplugs. This is really worrying because wind and engine noise has the potential to cause long term hearing damage. 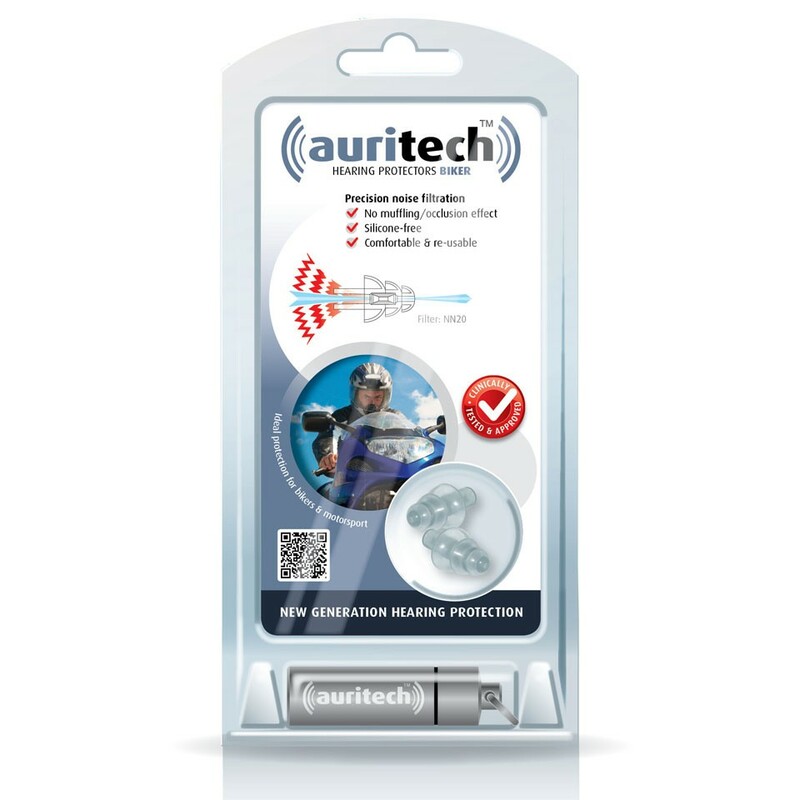 For an excellent value earplug, try Auritech Biker Ear Plugs, a new generation of earplugs that are fitted with a unique ceramic filter. These silicone free, highly comfortable earplugs offer a massive 29dB noise reduction while still allowing you to hear warning sounds and conversation. For a semi-disposable foam format, Mack’s Safe Sound Ultra Ear Plugs offer 29dB sound reduction and come in packs of seven. They are easy-to-fit and will fit comfortably under your helmet. 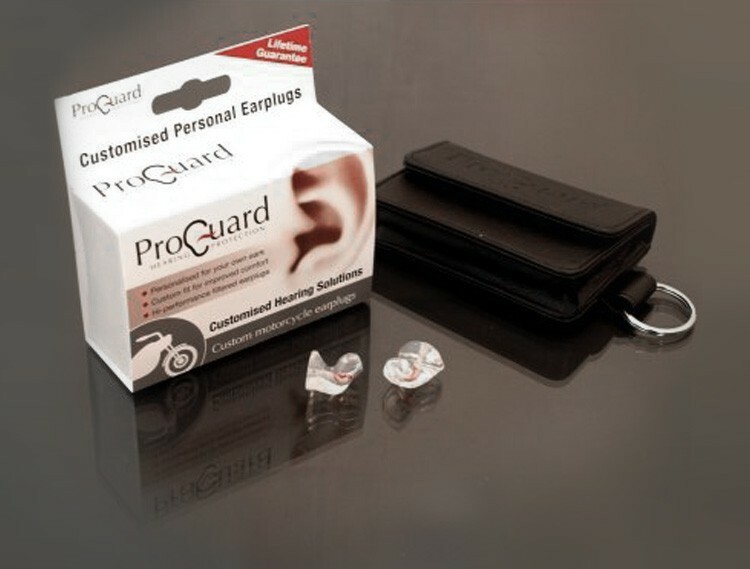 For the very best protection, ProGuard Custom Motorcycle Earplugs are moulded to the exact contours of your ears and feature advanced filter technology which still allows you to hear ambient road noises. A choice of two filters also allows you to adjust the sound rating to your ear. With the hearing risks from motorcycling clear, if you don’t already have a good set of earplugs then now could be the time to invest in a pair.